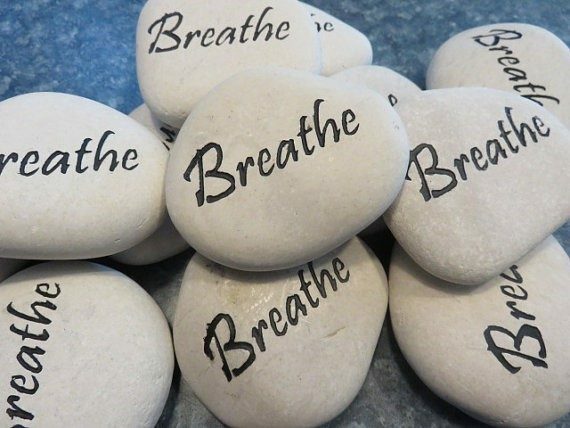 In brief – Anxiety is a way of knowing it is time to change something: to move; to breathe out. It is a signal that you need to change the way you think about, feel or otherwise experience a situation. The anxiety might stem from your past or be a response to a current situation. It might even be part of an imagined future. The six step process in this short article has helped many leaders manage anxiety. The situation – What is going on for you? You know what anxiety is like in your world. You can tell by your ability or inability to think straight or when you experience a sense of not being in control. Where do you feel this loss of equilibrium? You might feel or have sense of it in your head, your chest or maybe in your gut. Or, do you notice something somewhere else in or outside your body? It can take time to understand what might cause you to feel anxious. However, it is good to know your own reactions to anxiety. Knowing yourself is the first step towards being able to make sense of your situation and decide what you want to do next. Knowledge gives you choices. As one of my clients said: I always know when I need to “step away from the tension”. There is a sudden rush of blood to my head, I feel like I have a heavy weight sitting on top of me. All this whilst looking relatively “normal”. The desire – What do you want? Writing things down always helps. Freefall writing is a fabulous way of getting things down on paper. You literally start writing and let the pen take over. Musicians do it, writers do it and all leaders can do it. Writing things down will help you uncover your thoughts and feelings and, on reflection, gain perspective and discover creative options to help you move forward. You can decide on a length of time to write. I find this helps and usually decide on just 5 minutes. I literally set the alarm to chime at 5 minutes. Now, simply take a piece of paper and just start writing about your anxiety. It can be anxiety at the macro level or a specific anxiety when it arises. What does the anxiety look like? What does it sound like? How does it make you feel? How do you know you are anxious? Does it have a colour or a smell? Anything about the anxiety. Just keep writing. Let the ink flow from your pen and write anything at all that comes into your head. Don’t stop. Don’t read through what you have written or edit anything. Don’t worry about your handwriting or bother to cross anything out. Simply keep writing for your allotted time. Stepping aside from a situation in order to gain perspective is always useful. And so it is with anxiety. Easy to say and a little more difficult to do. So, now just fold the piece of paper you have been writing on into half, then half again. Keep going until the paper is as small as you can make it. It is now time to find a place to put the paper. I use an old storage jar. You might have an old box or another self-contained place to put the paper. Always resist the temptation to read through your writing. You can go back and take a look at a later date if that will help. But for now just store the paper away. Some of my clients shred the paper either immediately or at a given date. The choice is yours. Anxiety is an emotion. You might believe it to be a thought and of course you are right. However, anxiety is typically experienced as a feeling. So, as most of my clients have found – the way to move forward with anxiety is to physically move. It is part of the process of becoming unstuck or finding a place for clarity. So… find yourself a comfortable place to sit. It is good, but not essential, if you can allow yourself permission to sit somewhere that is not in sight of technology. Somewhere that is relatively quiet. Perhaps a comfortable chair making sure that your feet are resting flat on the floor and as far as possible you are sitting way back in the chair. Now is the time, if needed, to unclench your body: in particular your teeth. A large percentage of people carry tension in their jaw simply because of the effort of having their teeth together. So loosen your jaw: you will still look good! And, whilst you are focusing on your posture, why not imagine your shoulder blades sliding down your back whilst taking your shoulders away from your ears. Keep your attention on your feet resting on the floor. It is difficult to be anxious about one thing when you are “in the zone” of thinking about something else. Most importantly, your job now is to count silently in your head. This will be enough for you to feel more in control. If you want to close your eyes, now is the time. In this position, take your mind back to your feet. Imaging you are breathing in through your feet whilst you are counting slowly to 3. You will feel your ribcage expand to the sides. Keep your focus on the counting to occupy your mind. When you get to 3 you might want to pause for a moment or two before breathing out for the count of 4 or 5. I like to breathe out through my mouth. It is up to you. Repeat this process three, four or even five times. Each time simply focus on the counting and enjoy breathing out. Having completed the breathing exercise, just know that you have the ability to feel calmer. Breathing out is a beautiful thing. Focusing on slowing down your out breath is a wonderful way to improve your life in so many ways. Why not try it if you run, sing, cycle, work out at the gym, swim or even when you are cooking, organising or preparing for an important event or trying to put together an IKEA bookcase. Step 6 – What next? This step is up to you. What is now possible? Where might your new skill lead? How can you use one of your strengths to move forward? Is there someone you can talk to if you experience what you know is much more than anxiety? Keep moving and enjoy breathing out. Voicing Possibilities by drawing on your personal energy.